So I just got my first leopard gecko and it has a bit of stuck shed on the top of it's head. When I first opened the container the little baby was eager to get out but I was able to take a q tip with some treated water and rub at the stuck bit before it shot off and hid from me. It's not a serious problem, though it would be good if it can come off. The only way to get it off is to hold the gecko and scrape it off with your finger. Obviously, the gecko won't want to sit quietly for this. 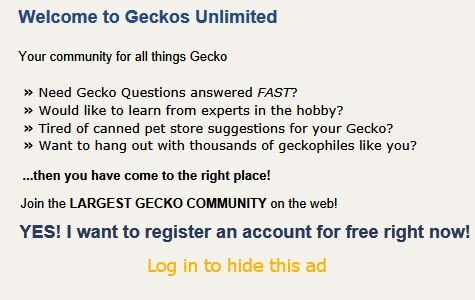 I would say that if you can do it without getting too upset yourself, it's worth disturbing the gecko for a short time. If you're really nervous about it, leave it alone and it will likely eventually come off. If your leo will allow this, firmly but gently hold him. Hold a wet cotton ball or paper towel on his head for as long as possible. That should loosen the stuck part. Then rub that skin with a dry q-tip. This may work. Last edited by Elizabeth Freer; 06-24-2018 at 09:44 AM. Update on this: a few days later the shed was gone on its own and this little one's skin looks much better (not dry). The humid hide served its purpose well!